Christmas cards and greetings including messages of faith may be particularly memorable and meaningful, as Christians celebrate the birth of Christ. Several Scriptures are especially appropriate for printing on holiday cards or for penning messages inside before signing and sending. 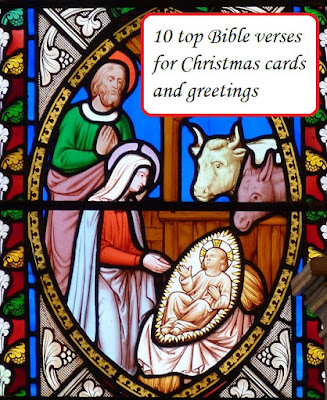 Consider these 10 popular Bible passages for including in Christmas greetings. These verses are listed here in biblical order, with reference links leading to online Bible translations and paraphrases for context and further study. Many additional Bible verses may be suitable for Christmas greetings as well. Why not pick a favorite Scripture to write with festive holiday salutations? NOTE: Written by this author (with verses gathered from multiple Bible translations and paraphrases), this copyrighted material originally appeared on another publisher’s site. That site no longer exists. This author holds all rights to this article. No republication is allowed without permission. Adapted from public domain art.